In a CNN I report reports ” “Toy “Hello Kitty”AR-15, results in a 3 year old child’s death” The problem is the story is a lie. In a popup the story refers to a Greenville story of a three why killed by a gun by his sister who found a pink handgun gun unsecured in her grandmas home not a Hello Kitty AR-15 . 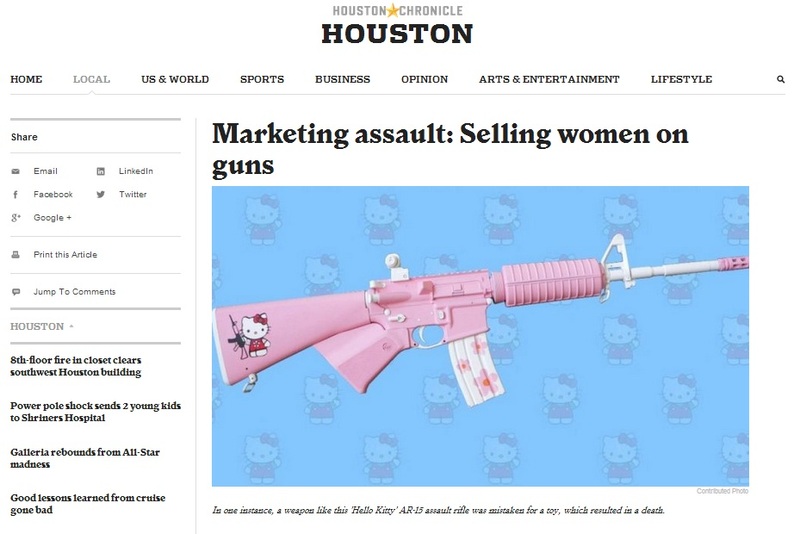 While sad and tragic, Houston Chronicle had pick up the story for its hit piece on gun ownership Marketing assault: Selling women on guns the original post shows a Pink Hello Kitty AR-15 with the caption “In one instance, a weapon like this ‘Hello Kitty’ AR-15 assault rifle was mistaken for a toy, which resulted in a death.” This story was picked up by cnn. 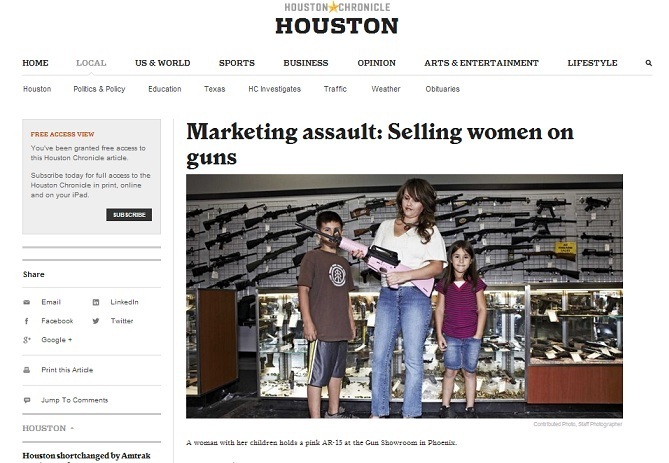 The Houston Chronicle story chock full logical fallacies and a propaganda piece for the anti gun crowd. The owner of the Hello Kitty AR-15, David Christian, chimes in, calling Houston Chronicle on the mat. Furthermore Sanrio forbids licensing of sharp objects, drugs, guns and hard alcohol and cigarettes. Hello Kitty guns are ether fakes, art installations or custom jobs not retail products. As a huge Hello Kitty fan and support of gun rights I find both offensive that the Houston Chronicle sinks so low to defame both. This entry was posted in Media, News by Actonrf. Bookmark the permalink.